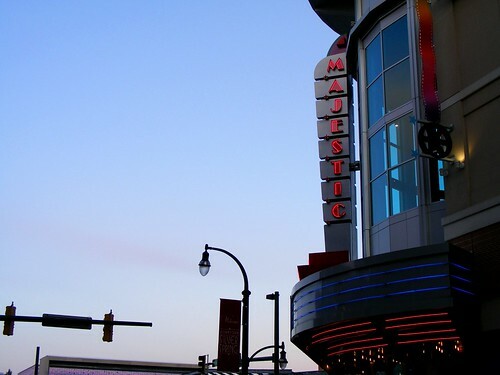 - Tonight, IMPACT Silver Spring continues its successful annual networking event with Silver Spring Action: Re-imagine Community Space!, taking place at 7pm in the Crowne Plaza Hotel at Georgia and Fenwick. Just like last year's event, you'll get some serious networking in and enjoy free food. Visit IMPACT's website to RSVP. - The venerable Quarry House Tavern at Georgia and Bonifant has been named one of the nation's 150 Best Beer Bars according to DRAFT magazine. "If you’re sitting inside this basement bar in downtown Silver Spring, you’re either a local or a well-researched tourist on a mission to find the best watering holes in the D.C. area (mission accomplished! )," reads the review. - Velatis, the recently-opened-but-historically-signficant candy store near Georgia and Wayne, will soon add ice cream to its menu, carrying on a tradition that began in Downtown D.C. over 150 years ago. It sounds like Gifford's will have some competition in the nostalgic sweets market. - Are you looking to open a shop in an adorable little house that's been converted for commercial use? There's one for rent in Burtonsville's village center, and I think it'd make a neat ice-cream shop. (I've gotten distracted.) Somebody please move in there, and soon! We can't let Maple Lawn take any more business from the area.